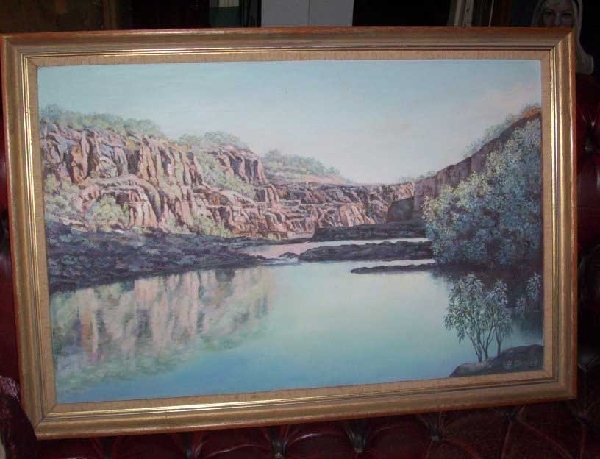 This is a large well-framed (heavy) oil on board by B. Plunkett of a gorge...looks to be somewhere in the NW of Western Australia. 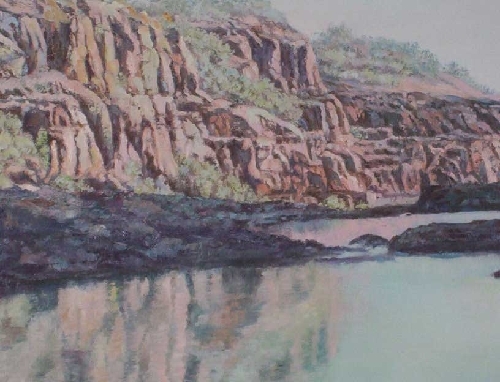 This is a very well painted artwork....close up it looks rough but from a distance it looks like a photographic image. This is a very talented artist. 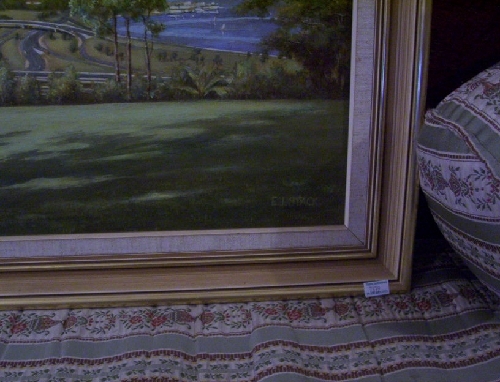 The framing leads me to think it dates from the 1970s or 1980s. 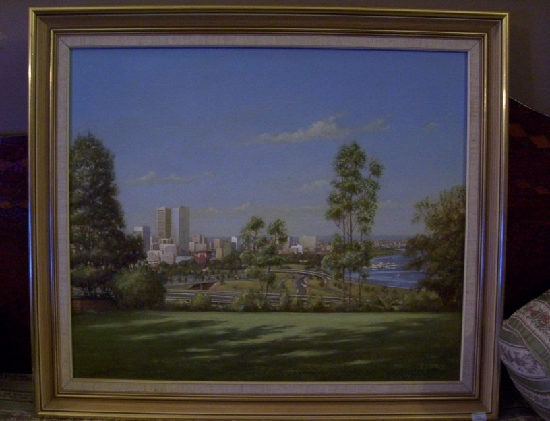 The frame size is 93 cms x 63 cms. 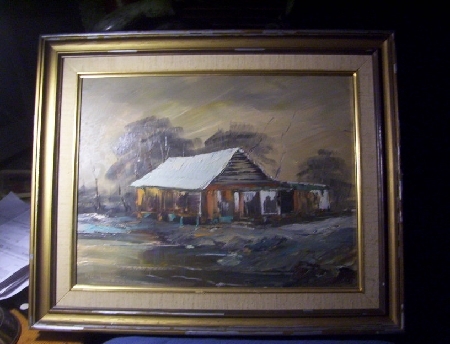 This is a superb oil on board of a country cottage scene...well, might be next to water actually...very australian...signed by Rix Mozsny (as far as I can determine)....measures 49.5 cms x 40 cms....some of the gildering on the frame is flaking and may need a touch up but the painting is in excellent condition and quite exceptional....this is a stunner. 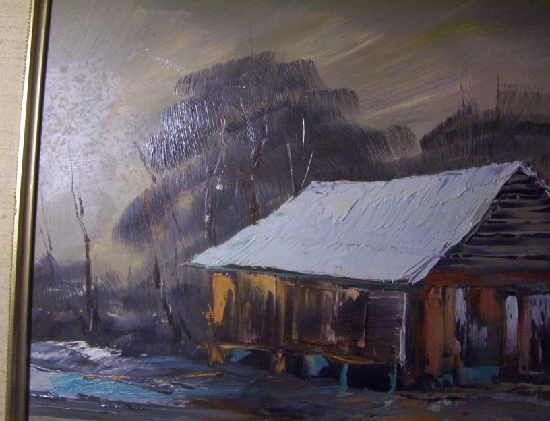 I have had the granddaughter of artist write to me...she said is was her late grandfather's paintings. His name is Ric Mozsny. 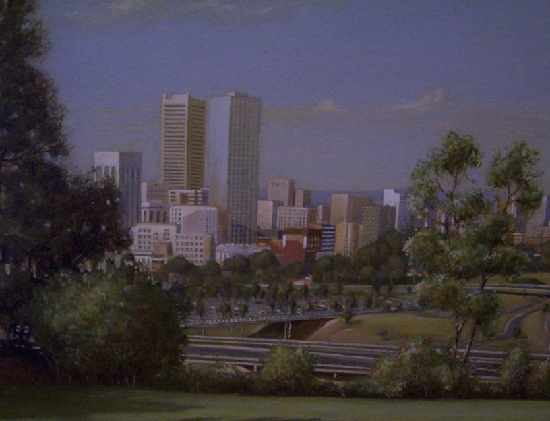 There is an artist Julie Mozsny. I wonder if she is related. 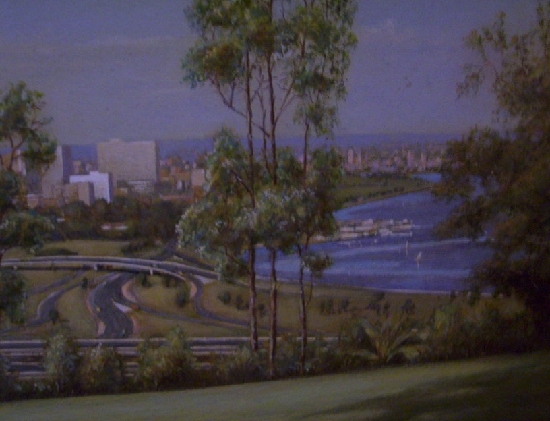 Look at the shadows on the lawn and the detail in the buildings and riverscape. 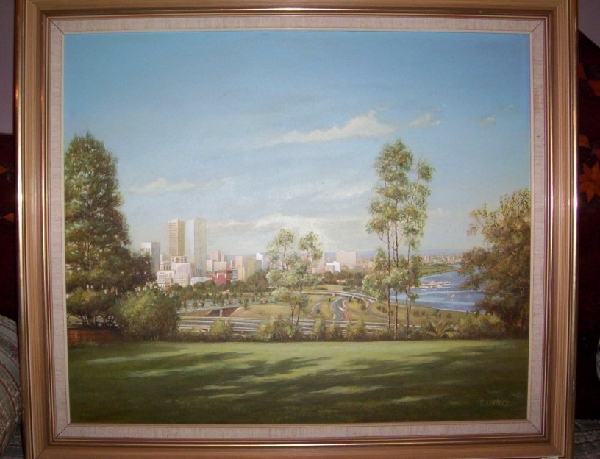 A fabulous oil painting of Perth city skyline, from Kings Park, by E.I. Stack. 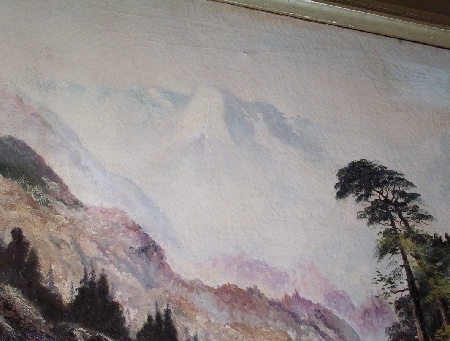 This is an excellent painting with great detail...measures 61 cms x 71 cms...nicely framed and in excellent condition.